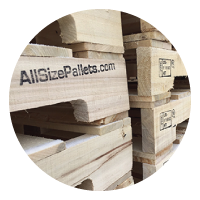 All Size Pallets offers a complete range of pallet services that include the entire life-cycle of a pallet from raw materials to a zero-landfill end of life.Unlike other pallet companies who purchase pre-made boards and assemble the pallets, we mill all of the wood for our pallets and crates in-house. 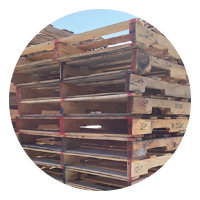 We specialize in repairing used pallets and making them available to our customers who value high quality for less. 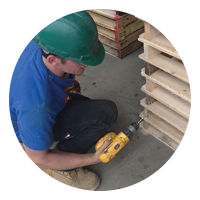 We support our customers who ship internationally with our ISPM-15 state certified heat- treated pallets and crates. 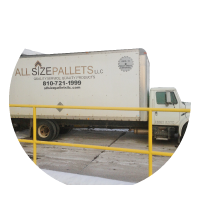 Space is very important to our customers, so we offer a comprehensive pallet management program specifically designed around their unique needs. 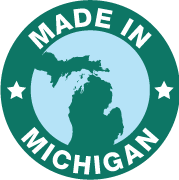 Our de-dusting technology allows us to provide clean pallets for shipping pharmaceutical supplies and food products, and reduces dust in our customers’ facilities. Pallets not fit for reconditioning get repurposed as landscaping mulch. All Size Pallets is a zero-landfill company committed to recycling 100% of the materials we collect, and to help other companies achieve the same, we provide recycling services for industrial plastic, cardboard, and pallets.We buy industrial plastics from many companies including the auto and plastic injection industry and provide a competitive rebate that gives large producers of industrial waste a valuable solution to a costly problem. 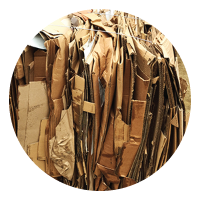 In addition to the environmental and space benefits that come with recycling, we provide an economical advantage to companies for both loose and baled cardboard. 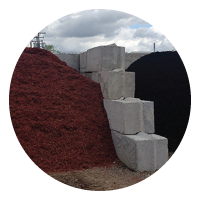 Our process for wood pallet recycling provides environmental benefits which extend the life of pallets through pallet reconditioning, or re-purposing as landscape mulch. 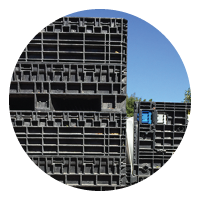 Many of the industrial manufacturing companies we provide services for, buy and use Gaylord Boxes (also referred to as pallet boxes or bulk boxes). Used to hold plastic, metal, and paper, Gaylord Boxes have the capacity to hold over 1,000 pounds and conveniently stack to optimize storage space. 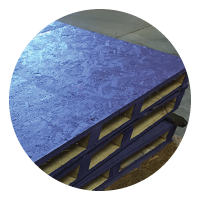 We buy, sell (in both large and small quantities), and repair these tri-walled or quadruple-walled octagon boxes with and without covers. 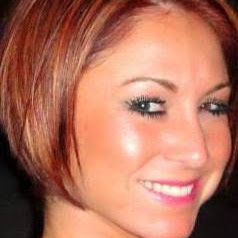 Whether you are looking to buy or sell, we offer competitive pricing on pickup, recycling, and repair of Gaylord Boxes.